The second International Military-Technical Forum Army-2016 opened in Kubinka outside Moscow on Sept. 6. Russia’s Defense Ministry has signed long-term contracts worth more than 130 billion rubles ($2.019 billion) at the Army-2016 International Military-Technical Forum, Deputy Defense Minister Yuri Borisov said on Sept. 7. "A total of 17 long-term contracts to the tune of more than 130 billion rubles have been signed," he said. The second International Military-Technical Forum Army-2016 opened in Kubinka outside Moscow on Sept. 6, and will run until Sept. 11. 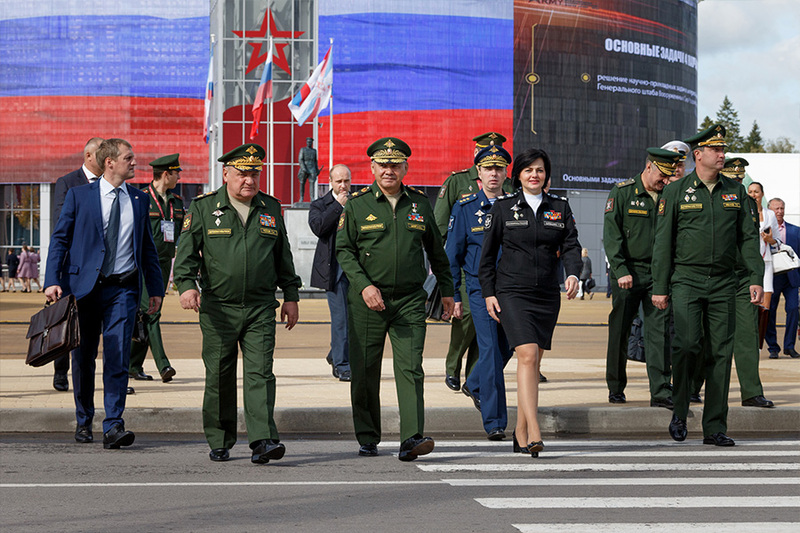 According to Russian Defense Minister Sergei Shoigu, this large-scale event provides an excellent opportunity for direct communication between Russian and foreign developers, and manufacturers of military and dual-purpose products. "The latest scientific and technological achievements are demonstrated here, they are displayed not only statically, but there is also a dynamic display of weapons and military equipment on the ground and in the air," Shoigu said on Sept. 6. The minister said that this year the number of the forum participants had increased and the forum’s geography had expanded. Thus, more than 1,000 Russian enterprises and organizations are represented on the grounds of the Patriot Park in the Moscow region, more than 80 foreign countries have sent delegations to the forum, and the first national expositions have been opened by Russia’s allies in the Collective Security Treaty Organization (CSTO) - Belarus, Kazakhstan and Armenia. According to Shoigu, pavilions with a total exhibition space of 80,000 square meters, including 28 conference halls have been built for the forum. The universal outdoor grounds area for the display of weapons, military and special equipment exceeds 100,000 square meters.